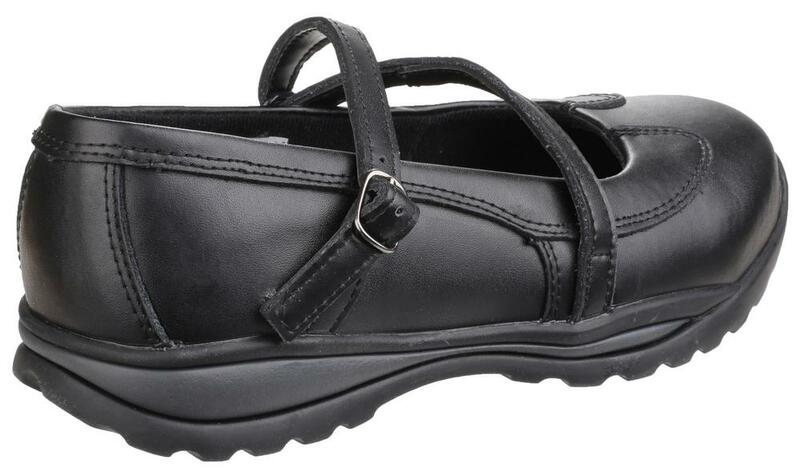 Very feminine style for this slip on made from hardwearing full grain leather. 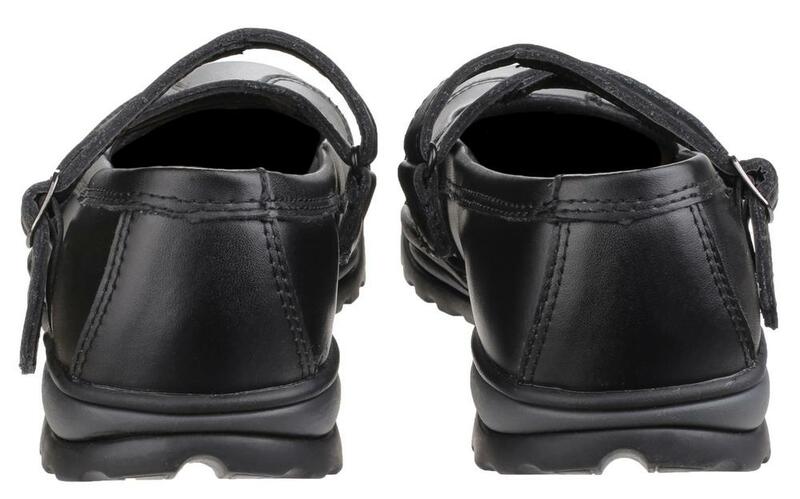 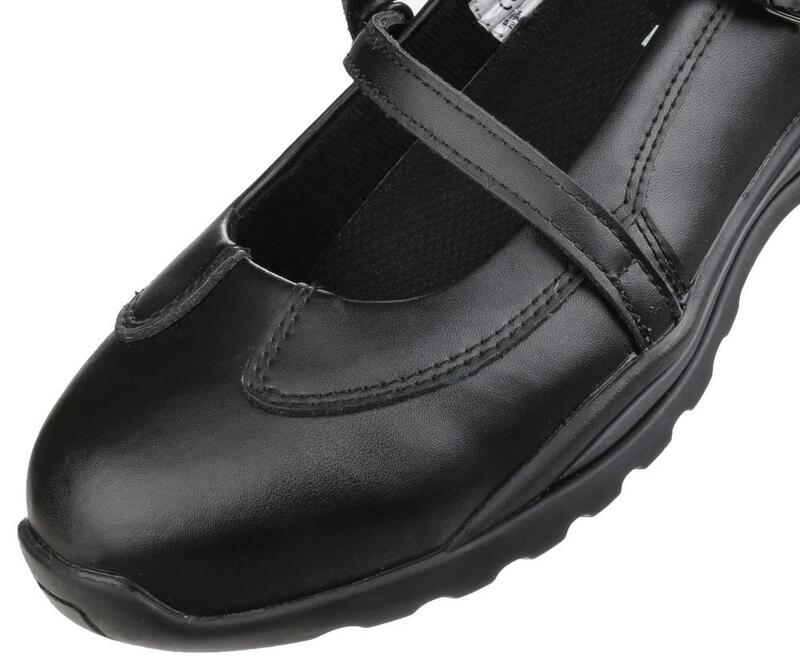 300ºC heat resistant rubber sole with front toe bump. 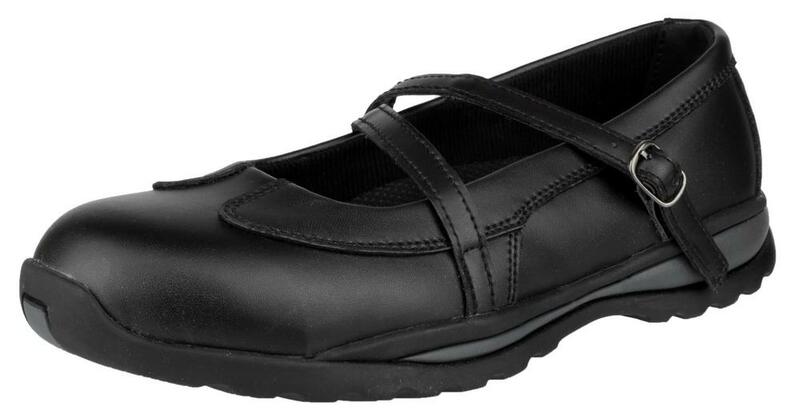 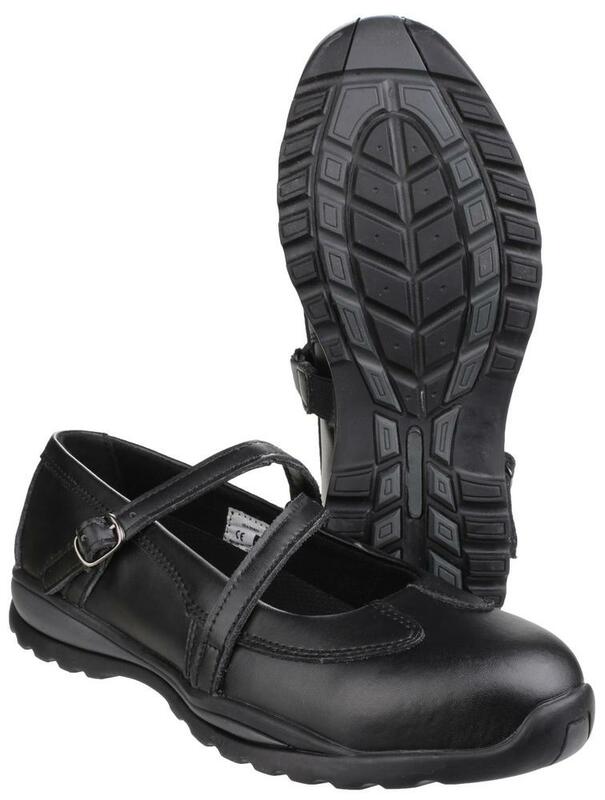 Amblers FS55 Mary-Jane Ladies Safety Shoe conforms to: EN ISO 20345 S1-P HRO SRC safety footwear standards.. 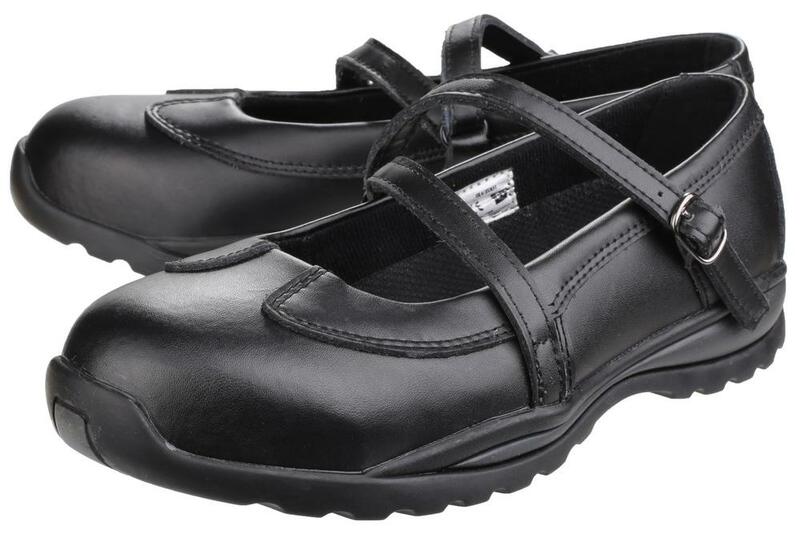 Available in size UK 7 only.